Cheap hotel rooms and B & B throughout the Netherlands. 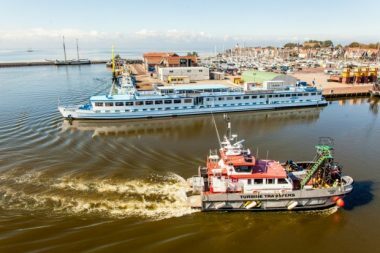 From Antwerp to Groningen, the beautiful hotel ships are ready to receive guests for a hotel stay. Throughout the year you can book one or more nights on a ship. In winter, the fleet of sleeping ships is supplemented by ships that sail during the summer and moor in the harbors and canals during the winter. 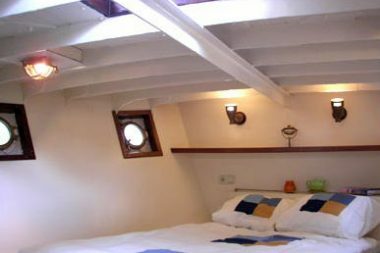 The ships are ideal as a bed and breakfast and many are also suitable as group accommodation. We can also offer hotel ships all year round for special events and group accommodations on location. For every occasion there is a suitable ship available, because a hotel ship is ideal as mobile and flexible hotel accommodation or as a cheap alternative to a regular hotel stay. During conferences and festivals we can offer group accommodations up to 150 persons per hotel ship. Slaapschepen.nl has beautiful hotel ships throughout the Netherlands. There is plenty of choice, whether you are looking for an original "boat and breakfast" or a luxury hotel stay. A weekend away and sleeping on the water on a boat gives just that extra something to your outing. All our ships can also be rented exclusively for family or friends club for a multi-day period. You then have access to the entire boat and you can use all facilities. A hotel ship can be rented including bed linen, towels and use of kitchen. Call or email us for more information. Do you need somewhere to stay overnight? Contact us for a tailor-made offer. We can offer ships for small groups to groups of hundreds of people. 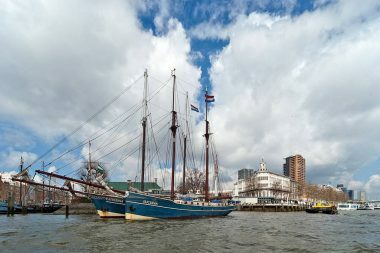 Click below for more information on our daughter website www.hotelschepen.nl. In the Netherlands there are several multi-day events where Sleep Vessels present. Often the regular hotels booked up quickly and Sleep Ships provides spot comfortable and affordable hotel rooms on ships. 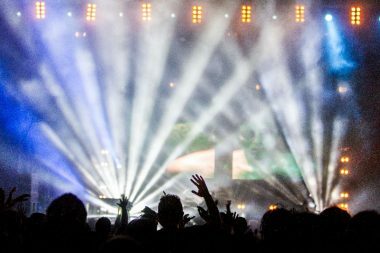 Due to great success, and the flexible nature we can find an increasing number of festivals and events. The sleeping ships are very suitable as accommodation for school classes. 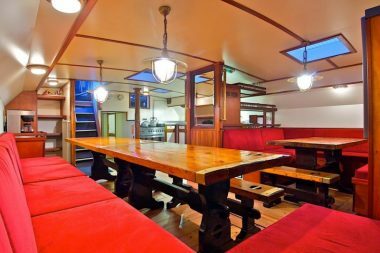 Below deck you will find enough beds, a well-equipped kitchen and a cozy salon where every school class will enjoy themselves. A hotel ship in a big city is a good base for a school trip or city trip. Very affordable and the ships can be practically everywhere, provided there is water. 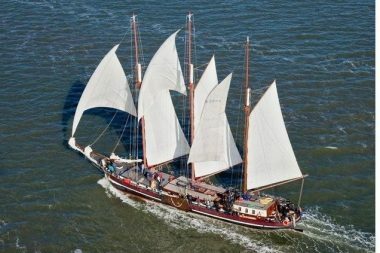 Throughout the year, but especially in the spring and summer months, you can also book sailing trips and sailing trips on the Wadden Sea and the IJsselmeer on board a large number of beautiful charter ships. Click here for our daughter website: zeilendeschepen.nl. 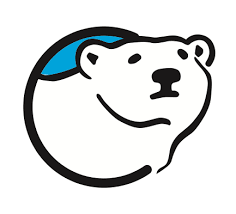 This site is the largest provider of sailing ships and sailing holidays.